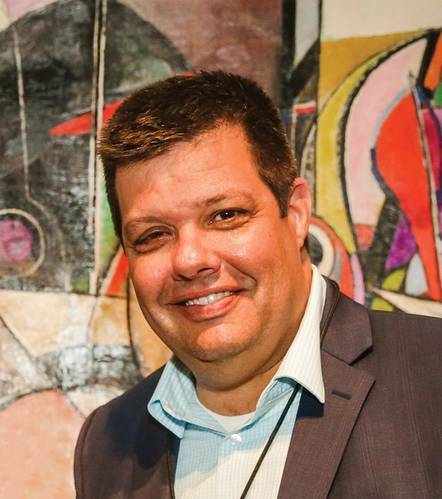 Chris Gibson, VP of Sales & Marketing at VideoRay. Chris Gibson is VP of Sales & Marketing at VideoRay, a leader in portable, inspection-class remotely operated vehicles (ROV). Gibson is a ubiquitous figure around the globe representing the VideoRay brand, and has been with the company since its inception in 1999. MTR spoke with Gibson recently for his insights on market and tech drivers. The familiar family of VideoRay ROVs are found globally in a wide range of industries and missions, from homeland security and defense, to inland and offshore infrastructure inspection, aquaculture, power plant inspection, and more. MTR caught up with Gibson recently for his insights on market and tech drivers. How did you come to have a career in the subsea industry? VideoRay was one of my interests from 1999 – 2006. During this time, I also ran and managed other businesses not related to the subsea industry. VideoRay provided a sense of excitement and exploration to which I became addicted. In 2006, I joined VideoRay full-time and we quickly worked to establish the company as the industry leader. From when you started with VideoRay, how is the company most the same? VideoRay’s culture is still close knit. Everyone here knows they are an important part of ensuring our customers are successful with VideoRay equipment. While the company and our customer base has grown significantly, the sense of pride everyone at VideoRay takes regarding our customer’s success is still the heartbeat of our business. How is the company most different? As VideoRay has grown, we now work out of a much larger, professional facility. The building is about 25,000 sq. ft. and has dedicated areas for Production, Repairs, Operations, and Sales. We also have a separate nearby Research & Development facility and remote employees in Rhode Island and San Diego. 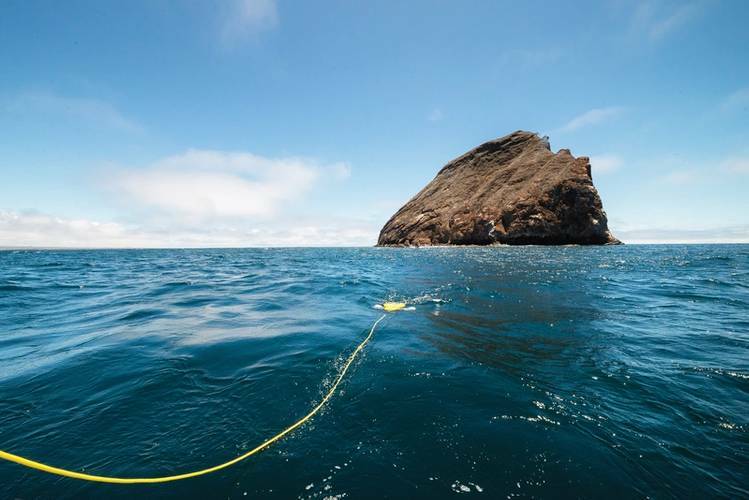 Please provide an overview of the VideoRay ROV family today. VideoRay is well-known for our three-thruster, yellow ROVs. 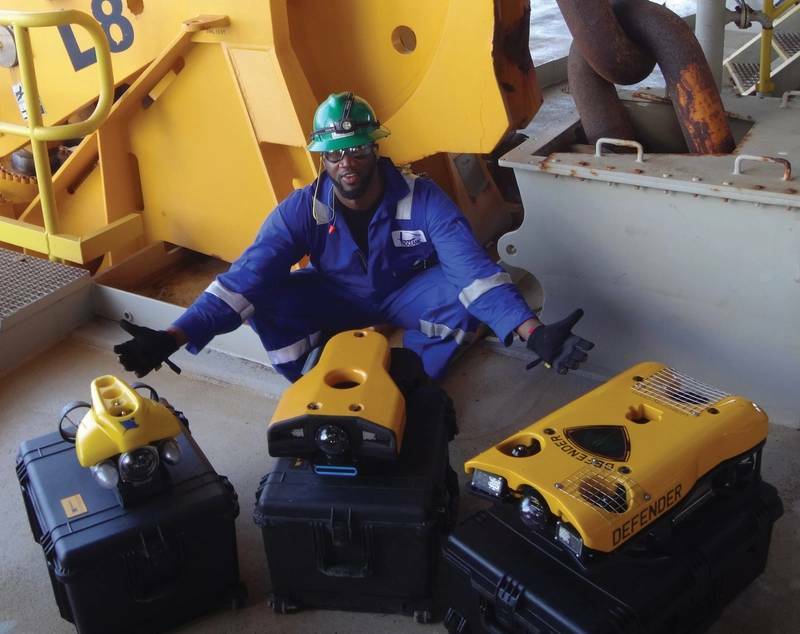 These ROVs are portable, rugged, and reliable. We have sold more than 4,000 Pro 4, Scout, Explorer and Voyager models. 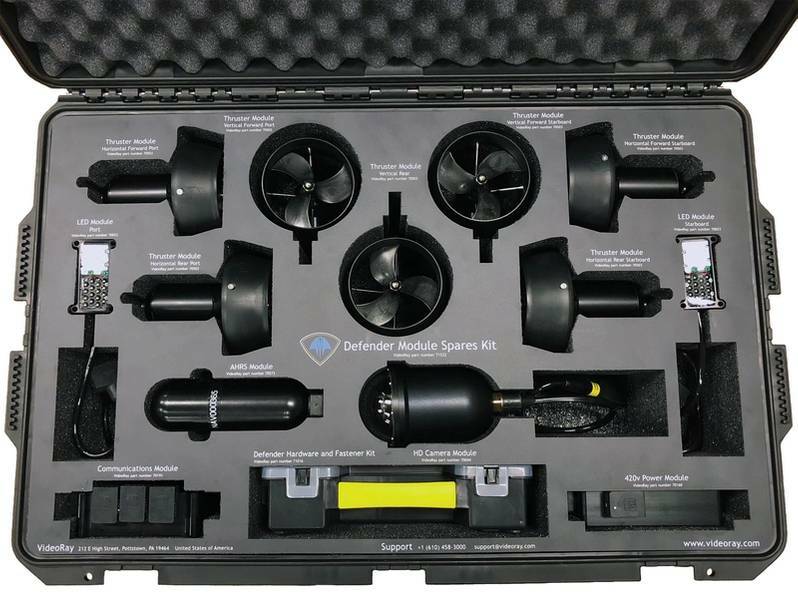 However, over the last several years VideoRay has added the Defender and Pro 5 product lines based on our modular Mission Specialist technology. Mission Specialist technology was developed to solve additional customer requirements. Mission Specialist systems have more powerful thrusters, increased payload capacity, go much deeper, and support even more sensors and tools. They are still easy to use and are one-man portable. Each ROV system is delivered with our unparalleled, global customer service and support. The Defender and Pro 5 ROV systems have become very popular. In what is becoming an increasingly crowded field, what is the VideoRay value proposition? While the recreational market is more crowded, the higher end industrial market for compact inspection-class ROVs is thinning out a bit. 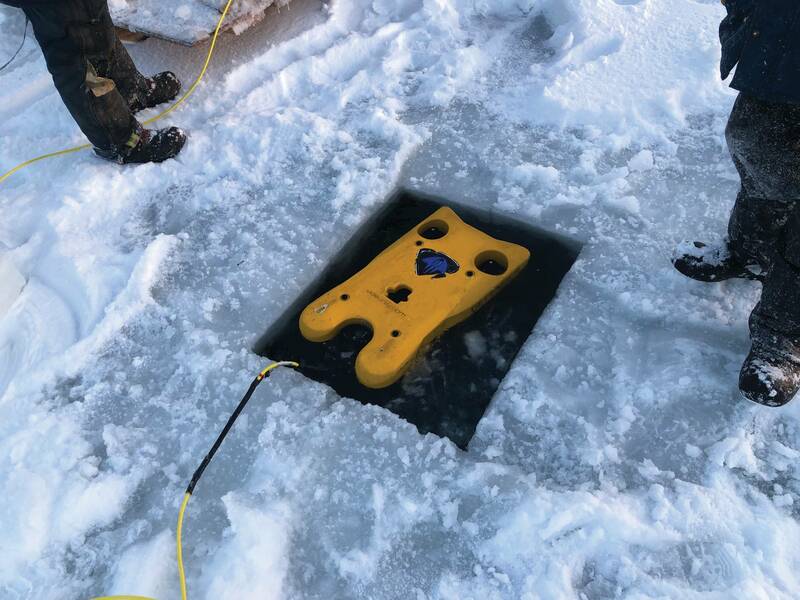 We design and manufacturer portable underwater technology that easily integrates with third party sensors, software and tooling. We realize there is not one solution that solves everyone’s problems, so we spend quite a bit of energy understanding what our customers are trying to do before we make recommendations – understanding that sometimes we may recommend something other than a VideoRay solution. Most of the time a VideoRay ROV will do the job, and we proudly deliver the systems with exceptional service support and reliability. What technology do you see as the differentiator for VideoRay? •Maintenance and repairs typically done at the manufacturer or service center are easy and can now be done rapidly and easily in the field. •The addition of navigation sensors and software add piloting autonomy features allows operation in challenging conditions – even for less experienced operators. •A single system can be upgraded easily in the field – for example, thrusters can be added to an existing system by simply mounting them and plugging them in. Mission Specialist Defender modules. Image: VideoRayHow is VideoRay investing today? Our primary investment is in Research & Development, mainly to improve tooling and sensor information collection. Another significant investment we make is employee and customer related. We regularly send employees from our sales, operations, production and engineering groups out to visit customers and assist with challenging missions to ensure their success, and our understanding of their unique challenges. It is important for us to see and understand how VideoRay products are being used so they can be improved. Looking at the markets you serve, where do you see opportunity? (Geographically) we have started to see investment in ROV systems being made in developing countries where divers traditionally were the only solution. • Aquaculture: for net and mooring inspections. In late 2018, VideoRay announced the most recent addition to the Mission Specialist Series (MSS) ROV fleet - the Pro 5. The Pro 5 configuration is designed for speed and portability, weighing in at just 10 kg (22 lb.). The three-thruster system has forward speed of over 4.4 knots and is designed to handle missions with size, space, weight, and deployment speed constraints are key. We are selling the Pro 5 for infrastructure inspections beyond the reach of divers, search & recovery, and exploring the ocean floor up to 305m.The Pro 5 builds on the strengths of the Pro 4, with more thrust, longer tether lengths, higher resolution video, and the advantages of the MSS modular systems. We anticipate releasing new tooling, sensors for the Mission Specialist Defender and Pro 5 systems. Additionally, we are working on the development and release of new system configurations.